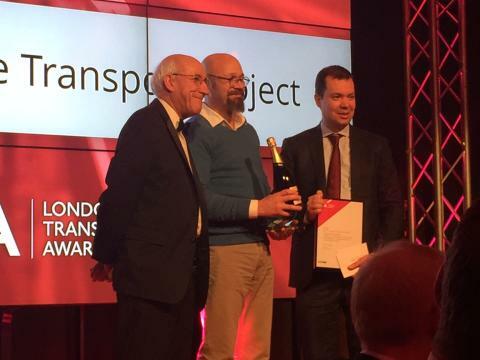 At London Transport Awards on March 1st, the London Demonstrator of European Bus System of the Future 2 (EBSF2) programme won the Most Innovative Transport Project award. The award was presented by Leon Daniels and was collected by Mathew Hudson of Transport for London. In the EBSF2 project; operators, traffic managers, bus manufacturers and system vendors have collaborated and formulated a number of specifications and recommendations for IT systems that are important for a well-functioning bus system. Among other things, focus has been on establishing standards and industry recommendations to simplify cooperation between different suppliers. The concept has been tested in a field trial with city buses that are in service in London. London has a bus system that transports 6 million travelers every day. Hogia participates as a supplier of the platform that connects IT systems. The field trial uses PubTrans, Hogia's Integration System for Public Transport Information, to merge and harmonise information from the various providers. - I am happy that this project won the award as it puts focus on how important standards are for successful co-operation between different industry actors. We have always strived to deliver a technical platform that does not tie the customer into a specific technical solution, but provides the opportunity to combine the benefits of several different systems, says Ulf Bjersing at Hogia Public Transport Systems. 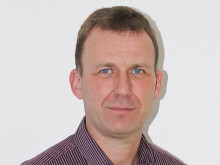 Ulf Bjersing is one of the main architects behind PubTrans, Hogia’s integrations system for public transport information.